Good job! I fished the Niangua arm during the bash and couldn't even hardly catch a fish this weekend. 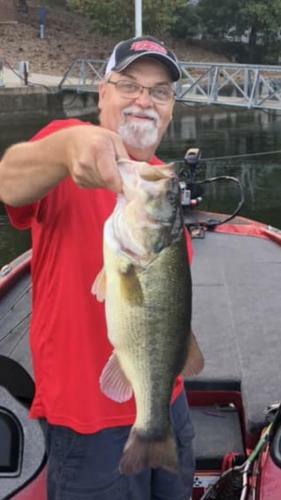 Best I caught was a 3.15 kentucky on a 130 plopper just inside a main lake point. I'm more familiar with the Gravois arm, but that area is just way to rough for an aluminum jet rig during the Bash. It liked to of killed me running from the Gravois to Alhonna to weigh a fish last year. That is the only time I've truly been scared to be in a boat.